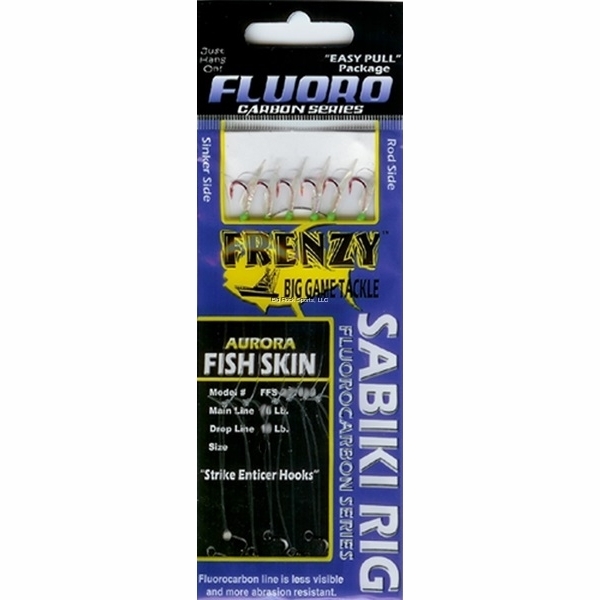 The Frenzy Tackle Fluorocarbon Sabiki Rigs are made from 100% fluorocarbon line and luminescent fish skin. The Frenzy Tackle Fluorocarbon Sabiki Rigs are available in 5 sizes and with their 100% fluorocarbon line and luminescent fish skin. 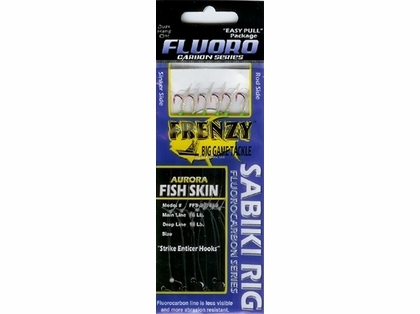 They are one of the most effective sabikis on the market.